I don't need another hobby, I have more than I can count and managing any more would become difficult. 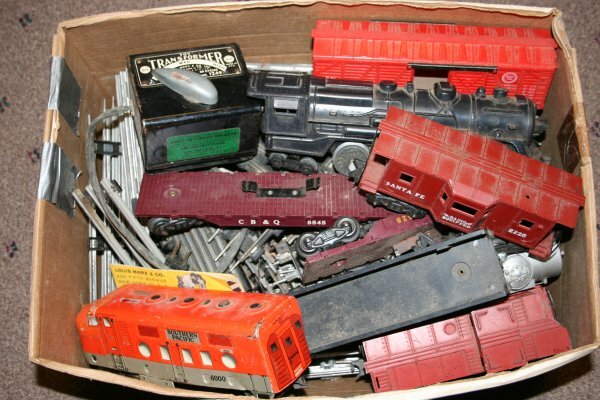 But the opportunity to salvage one old train set led to purchasing a cardboard box full of train cars, tracks, and a transformer that is what caught my eye. 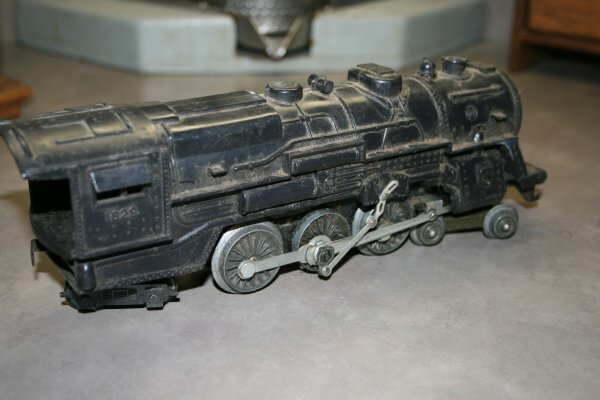 My goal began to restore the 1935 Marx Commodore Vanderbilt train set that was Dad's childhood train set. We played with it as kids and I have had it on display in my home for a number of years. The set has the locomotive, coal car, several Pullman passenger cars and a caboose. I did not have a transformer for it so had no idea if it worked, somewhere in my memory was this heavy steel locomotive on the tracks and not working properly, but memories can be deceiving so if I had a transformer I could see if I could make it work. Fast forward to a visit to a collectors store in Clear Lake, IA. This store ranges from junk to antiques and everything in between. As I finished my visit I rounded a corner and there was a box of train cars and near the top was a transformer that was obviously older than I am. 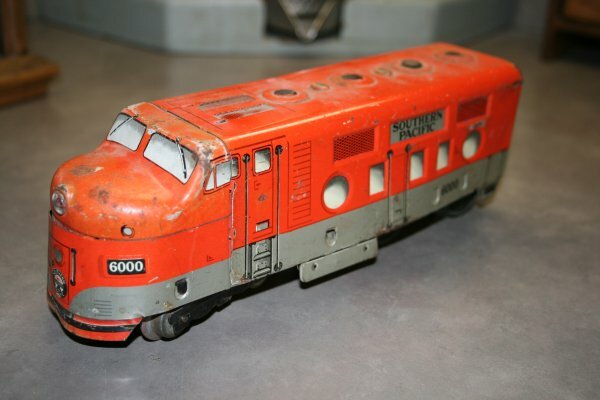 I did pick up the plastic locomotive and based on weight and construction guessed it was not current, probably something form the 1960's. After thinking about this box of stuff for a couple weeks I convinced myself that the $35 price tag was low enough to take a chance that the transformer worked. After all, this power source is nothing more than a simple transformer and some form of variable control to vary the output voltage within the range that the locomotive could tolerate. What could be wrong with it? I purchased the box with the store owner saying, "I'd say nothing in the box works, it is just a great display item." When I got home I inventoried the box and found that beyond the transformer I needed, there was a nearly complete train car set along with another locomotive, and a lot of track. The transformer worked, my volt meter showed a solid 13-volts output. I used a couple jumper wires (they came in the box as well) and tested the Marx 1829, the motor moved the wheels but there was a lever hooked to the wheels that was binding and prevented them from turning all the way. But it worked! Further research will reveal more accurate dates, but it appears that this set is a late 1950's to early 1960's set. Perhaps the greatest find in the box was the Marx Southern Pacific Line 6000 stamped tin lithographed locomotive. I tested it like the 1829 and it immediately spun the wheels over and the smell of the electrical arc and oil rose from the train, a smell that reminds any child of the 1950's of the magic of an electric train. This locomotive, like all the other pieces, is horribly dirty and gummed up with oil and grease so I stopped my testing to prevent any damage to the motor. But there is life in this model and that is a bonus to this great old piece. Initial reasearch indicates that this is a 1952 to 1954 vintage. Unfortunately there are no cars to go with it, but as a working display model it is worth the price of the entire box. In the event that a skeptic reads this page and believes that the $35.00 price tag was too high, I offer the following inventory as a record of what was inside the box when I got it home. The opening picture shows the box as it was when I picked it up in the store.